The test started with discussions about how to film the race car for this aerodynamic exercise and it was decided that I would be in the back seat of the estate car hanging onto the cameraman with the rear split tailgate open both up and down and the race car would follow. It was necessary for the race car to travel within yards of the Lagonda to achieve the focus to record the direction of each piece of wool that the air-stream caused. I was only fifteen and the lowest of the low but even I could see that the Lagonda, with the tailgate sticking up must have had the aerodynamics of a garden shed spoiling the airflow for 100's of yards behind it. I said nothing about the obviously flawed test until weeks later when I was ordered to fulfil another of my tasks as the lowest employee. That was to destroy anything, that might find its way into unauthorised hands, such as development items but, on this occasion, I was told to destroy the old race car bodies because new ones had been designed and made as a result of the aerodynamic test that I had witnessed. Fortunately I had a self-appointed mentor in the racing department – a lovely man, Fred Shattock who was an old Bentley mechanic from before the war. I told him what I thought about the test and so between us we took the old bodywork from the four race cars and hid them under tarpaulins in the woods behind the factory. Anyway, off everybody went to the pre-race practice at Le Mans and total panic ensued after the first run when they discovered the cars were 15mph slower on the Mulsane straight than with the previous bodies. Word was sent from the circuit to summon every available panel beater to restore the jigs to make old style bodies ASP. 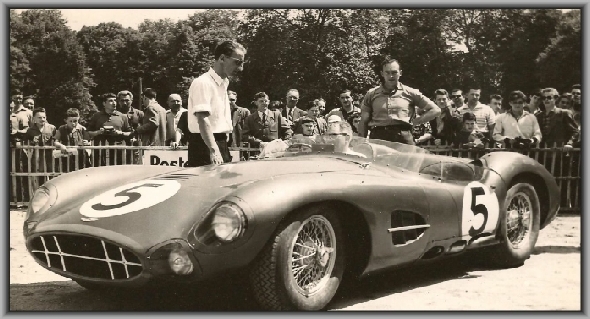 Fred was able to restore calm by telling all and so the original bodies were retrieved from the woods and ferried out to France with the eventual result of coming first and second in the 24hour endurance race Le Mans of 1959 and later that year the world sports car championship.